By LUDWIG VON KOOPA - A LITTLE more complicated. For your information, I didn't make this in Paint. I made it in Scratch's costume editor. 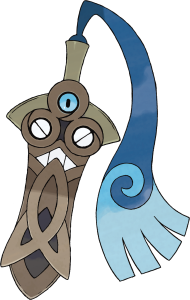 Anyway, today The Pokémon Company International announced an evolution to Honedge for Pokémon X/Y: It's Doublade. You know. "Double blade". So... some say it looks like two Honedge. I put this to the test. This is Honedge. It's the Sword Pokémon. This is my Doublade attempt that's literally just two Honedge put together. CLEARLY, they're not identical. The blue cloth is different, it has a wider angle in relation to the sword, and there is some crest joining the two swords together in the back. 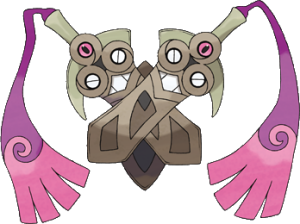 Additionally, there is a piece on Honedge that is covering its lower lip that isn't present in Doublade. The blue eye-ball looking thing is now pink. Additionally, the cloth itself is different in design (the swirl). 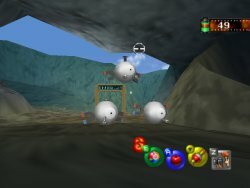 Compare to Magneton, which is literally three Magnemite put together. 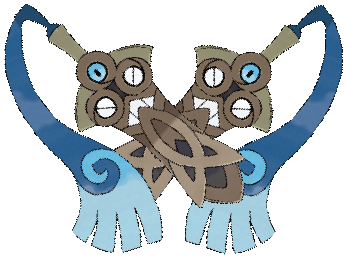 This is considered a Magneton. Thanks, Pokémon Snap! And yes, Doublade and Honedge DO get Swords Dance. Compare to Magneton which gets Magnet Bomb. Is Magneton a suicide bomber? We must stop this radical terrorist group! Support Doublade! Ludwig goes on the Pokémon simulator Pokémon Online. You can join him in the channel #Fullmoon Island by downloading Pokémon Online here. If you don't consider the piece on Honedge covering its lip to extend to the rest of the sword, then notice how Honedge has that black bit on the bottom while Doublade doesn't. This makes it look like Doublade is smiling, while Honedge seems to be angry. Doublade has a best friend now, so yeah, it's probably more happy.